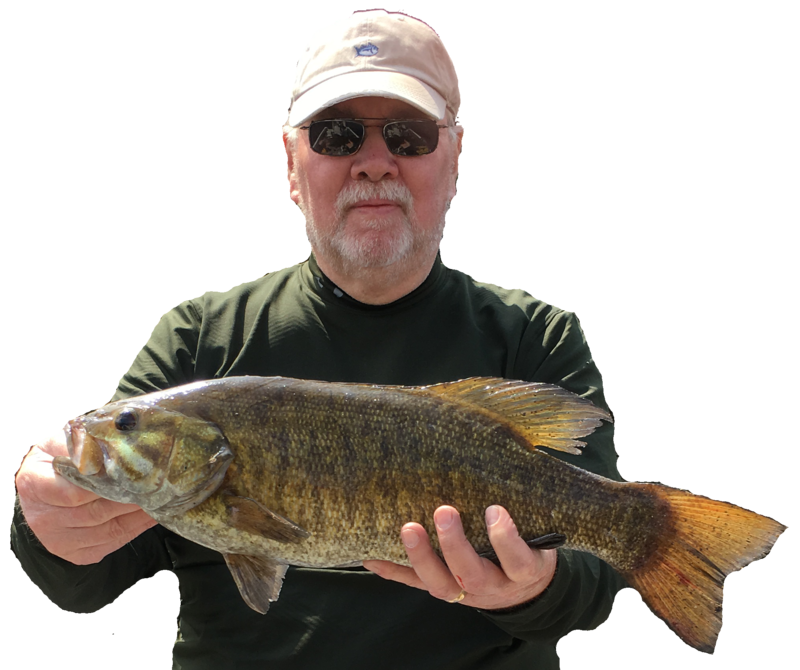 Mike Mladenik is likely the Midwest’s most knowledgeable smallmouth bass fisherman and the region’s top guide. 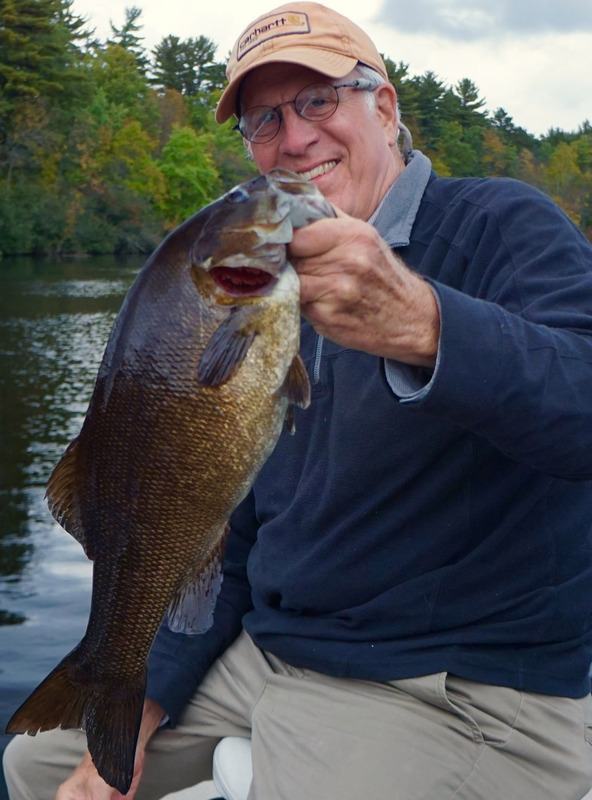 Over the past 30 years his clients have landed over 3,000 – 20+ inch smallmouth and a few hundred hawgs over six pounds. 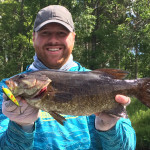 The Menominee River offers a World Class Smallmouth Bass fishery that just keeps getting better! 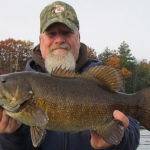 Although best known for smallmouth bass, Mike also guides for musky, largemouth bass, northern pike and walleye. 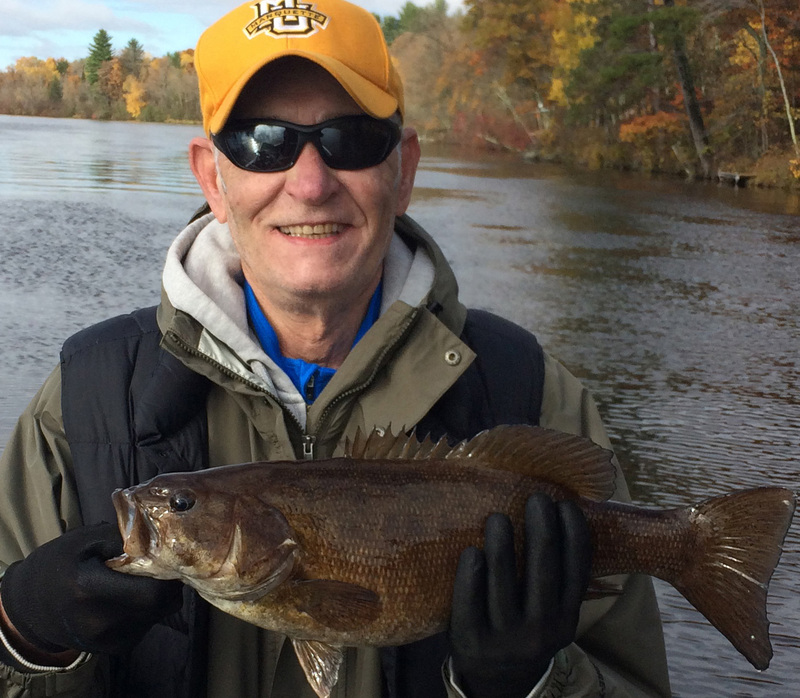 His expertise spans the bounty of rivers, reservoirs and lakes that draw anglers to the area year-round. 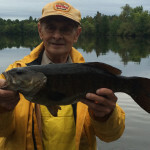 He derives great satisfaction in teaching technique and location/weather analysis to clients. 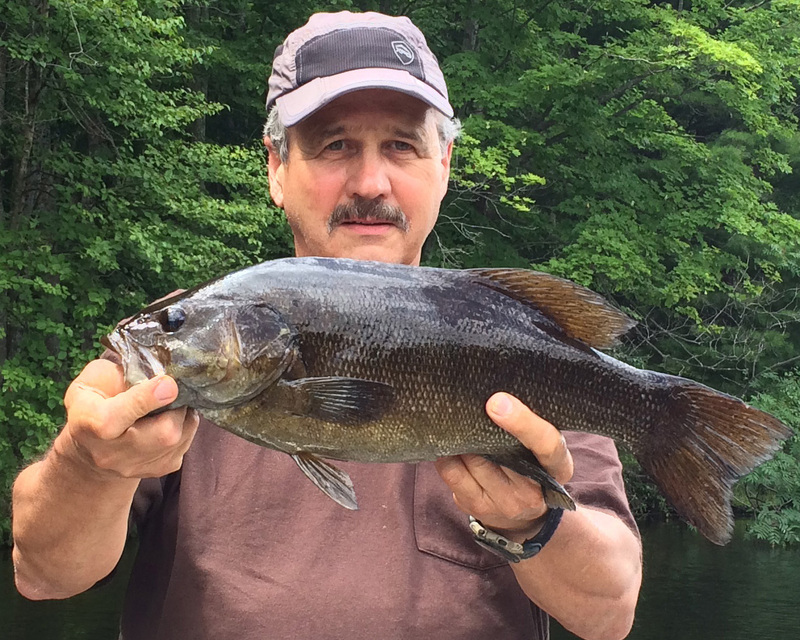 Mike’s not one to hoard a secret; in fact, few guides spend as much time teaching and coaching as Mike does. 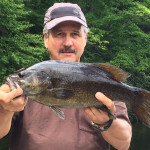 In addition, Mike is a contributing author to many national and regional publications, including Midwest Outdoors for which the readership voted Mike one of their top three favorite writers. 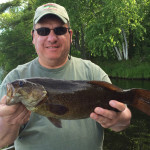 Mike’s instructional and insightful pieces can also be found in Fishing Facts, Musky Hunter, Wisconsin Sportsman, Wisconsin Outdoor Journal, Michigan Sportsman, Wisconsin Outdoor News, and others. Mike has also authored several books, publishes his own magazine and has produced his own television show. 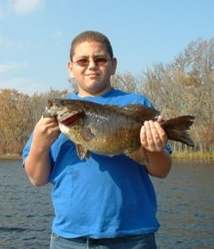 6 pound smallmouth common! 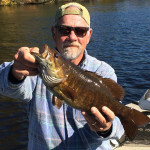 During the past 30 years, I have been a full time guide in Northeast Wisconsin. 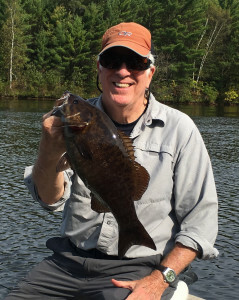 I am the only full time Wisconsin guide who specializes in smallmouth bass. 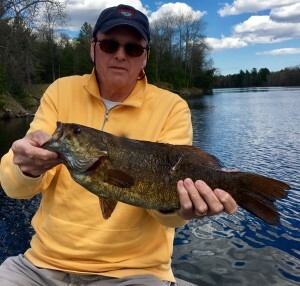 Much of my time is spent fishing the Menominee River which is one of the top smallmouth destinations in North America. 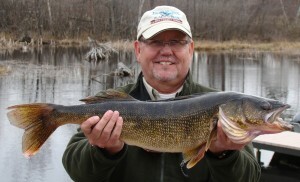 I also fish natural lakes and reservoirs. 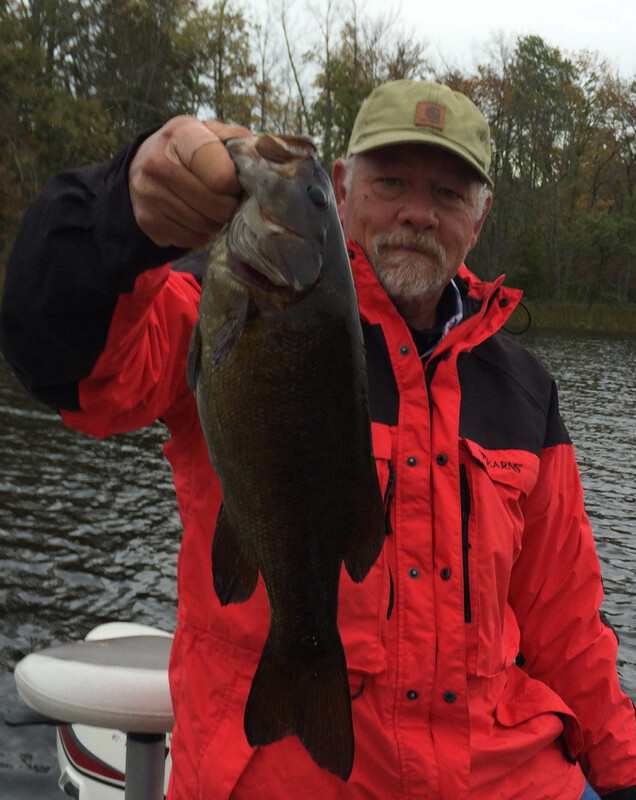 My knowledge of different kinds of water enables me to put my clients on fish regardless of weather conditions. 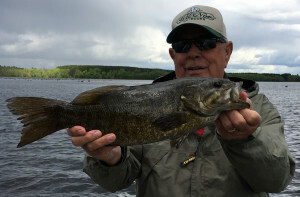 Through my years guiding, I have also managed to put 40-pound musky, 20-pound pike, 7 pound largemouth and 12 pound walleye in my boat from waters of northeast Wisconsin. 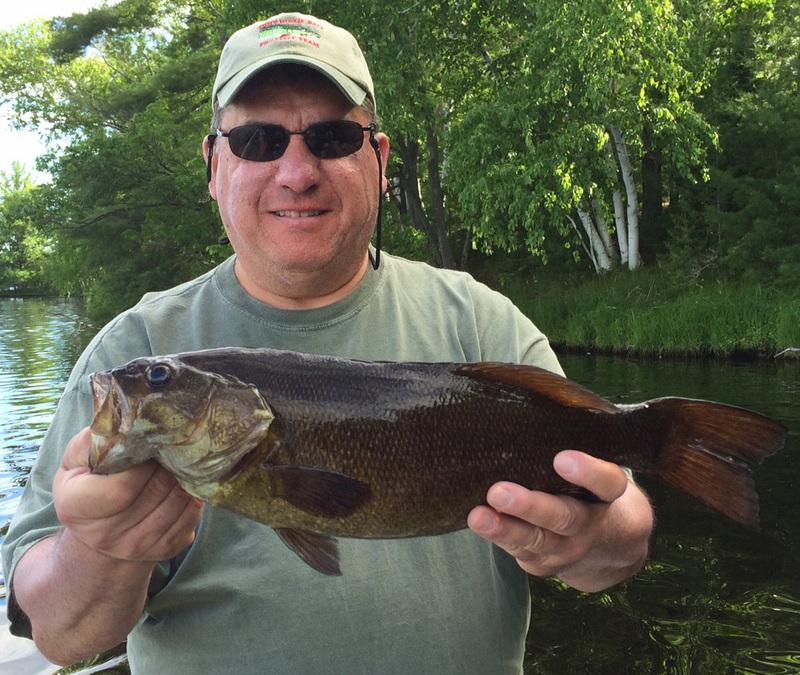 The remote Menominee River river forms the border between Wisconsin and upper Michigan. 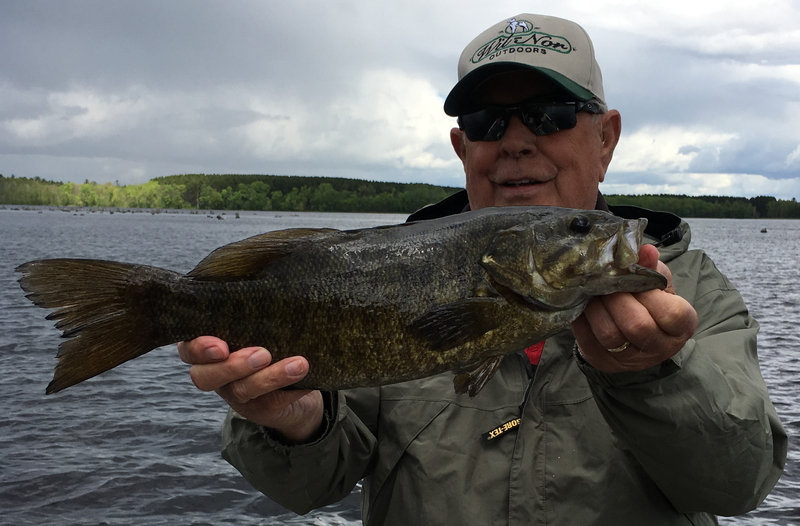 Along with continuous action with smallmouth bass and walleye, anglers will enjoy wilderness aesthetics. 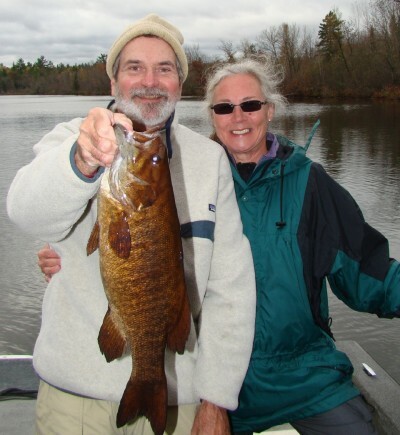 While fishing it is common to see bald eagles, osprey, deer, bear, otter and other wild life. 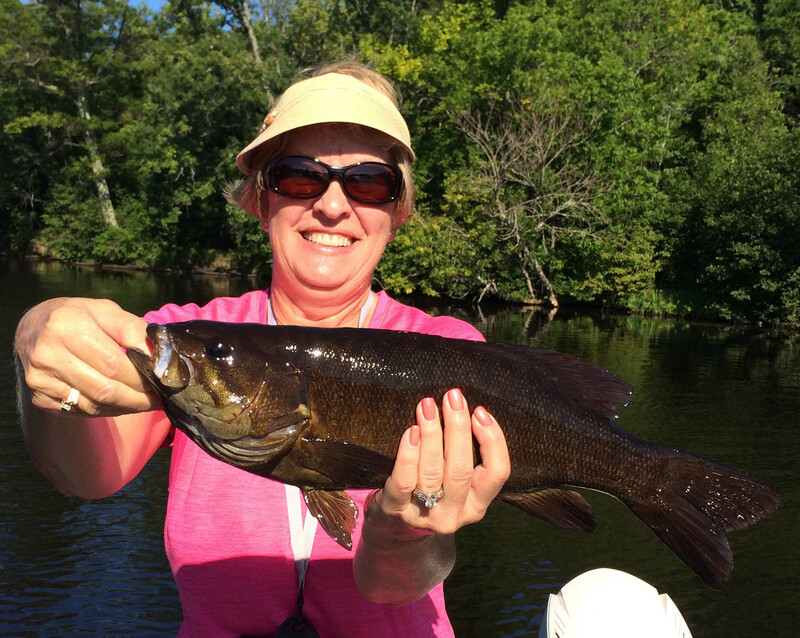 There is no better place to relax and get away from it all than on the Menominee River. 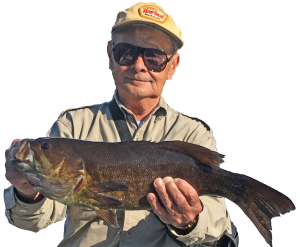 However, it is the fishing that draws most people to the river. Many days we fish all day and never see another boat or signs of civilization. High winds and cold fronts can devastate fishing on many lakes, but not on the Menominee River. There is always something happening on the river. Each year I venture into new areas of the river that are a virgin fishery. 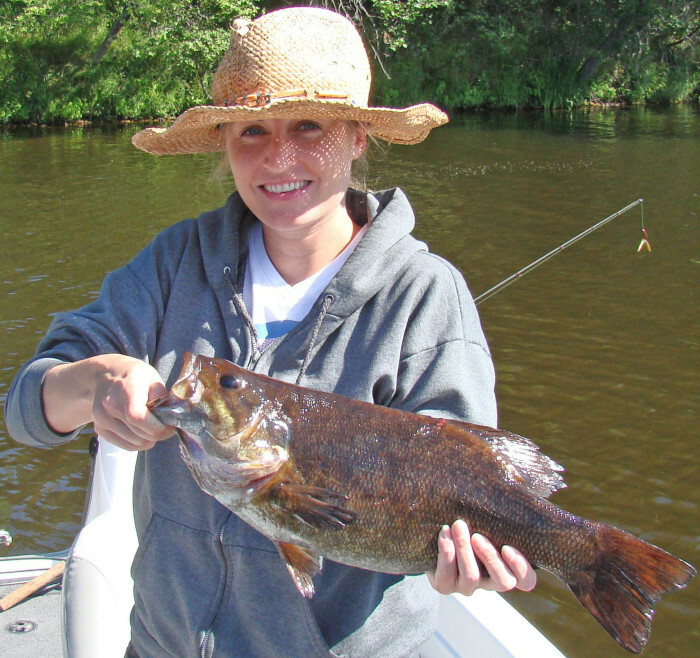 100 plus smallmouth days are common in summer. 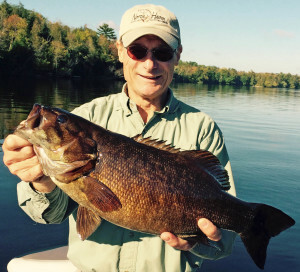 This is a world class smallmouth fishery. 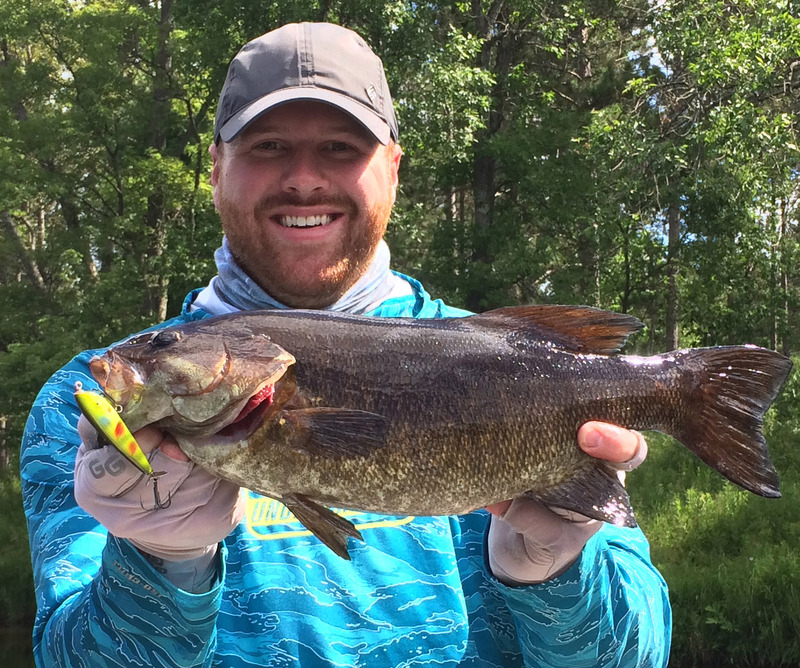 release with smallmouth, there are plenty of walleyes for those looking to take fish home. 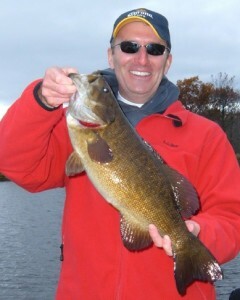 numerous 20 inch plus smallmouth. 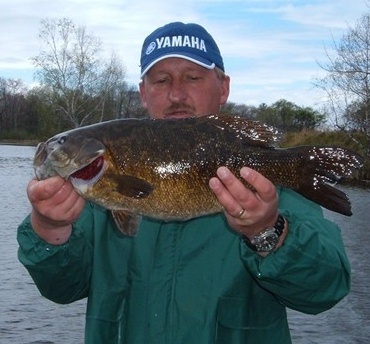 Unlike other rivers, the Menominee is also a trophy fishery. 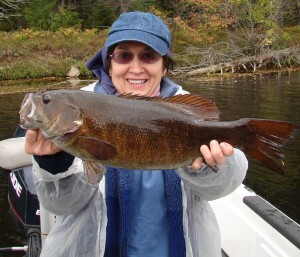 We start catching giant smallmouth in early May with many 6 pound plus fish caught at this time. 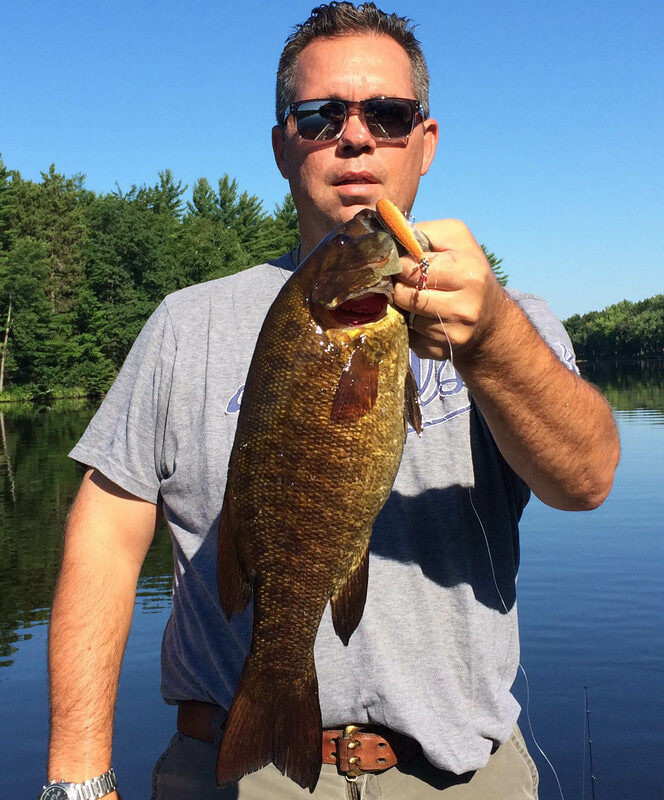 SUMMER SMALLMOUTH ACTION ON THE RIVER IS INCREDIBLE!!!!!! 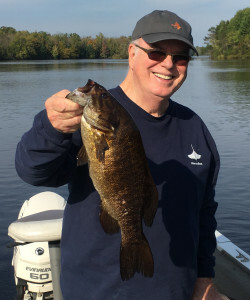 The topwater bite is awesome. Experience the thrill of a 20 inch smallmouth exploding on the surface. 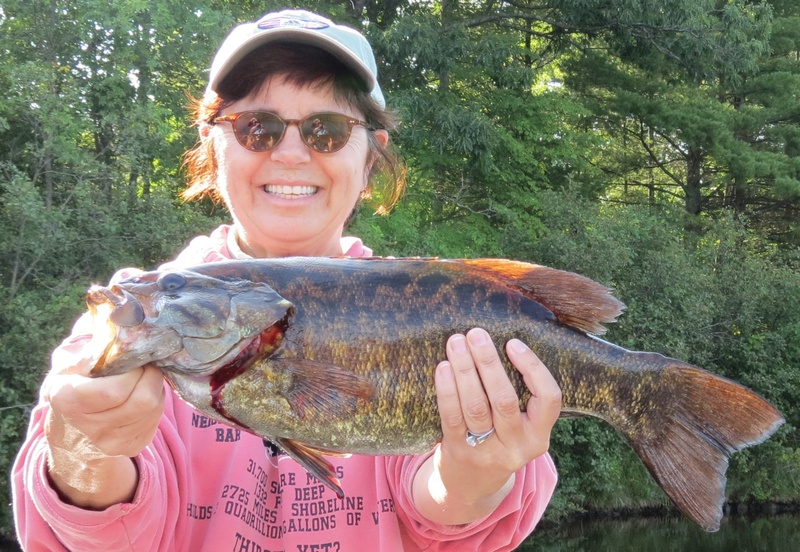 If you want to catch smallmouth on top, book a trip in July or August. 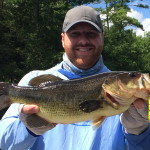 I will spend time teaching the basics of topwater fishing. 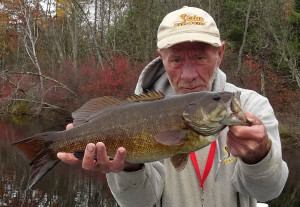 You will learn how to choose the right bait along with using the proper retreive. 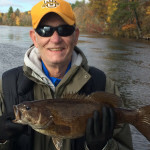 With over 30 years of topwater angling few guides have my knowledge & expertise. 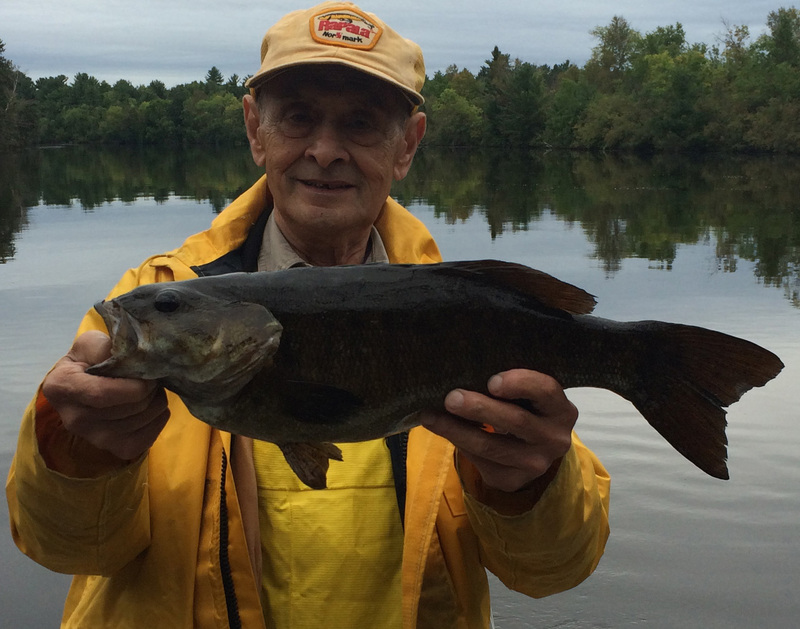 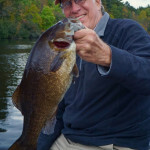 The entire fall period is excellent for giant smallmouth with 5 pound fish caught almost every day. 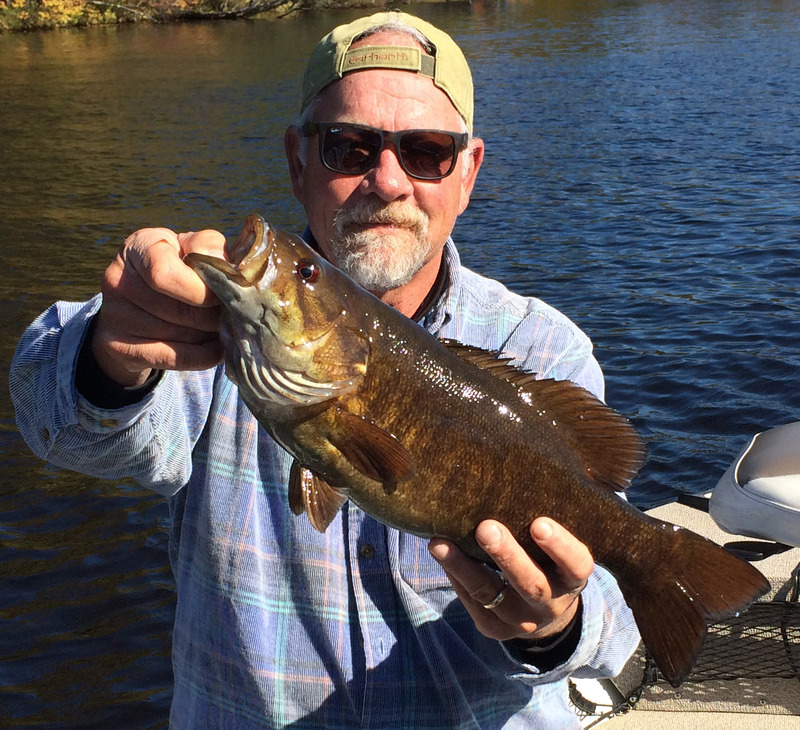 If you are looking for the smallmouth of a lifetime, fall is prime. Fall dates fill up early so book ASAP. 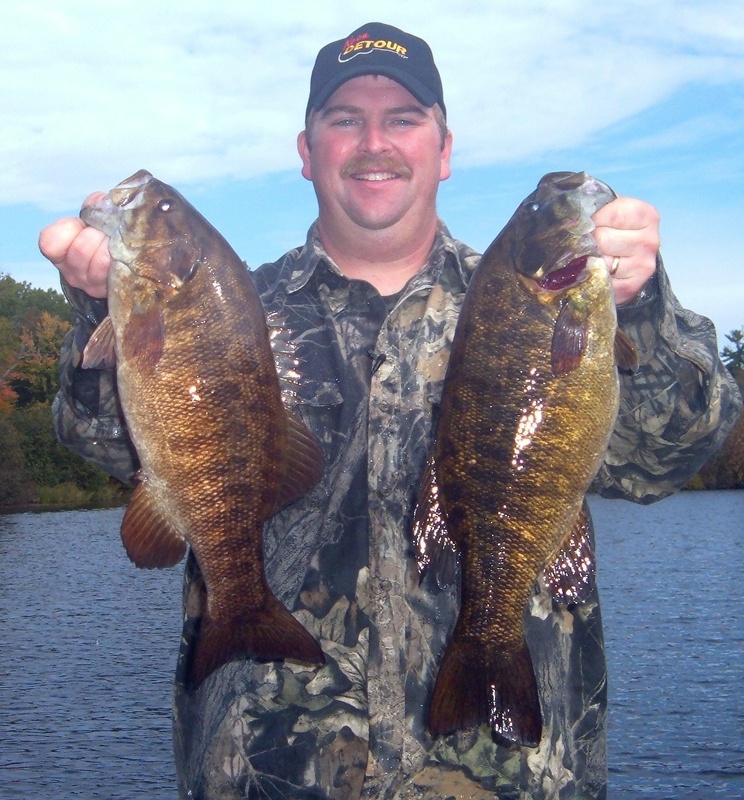 I also fish many natural lakes and flowages for both numbers and trophy smallmouth. 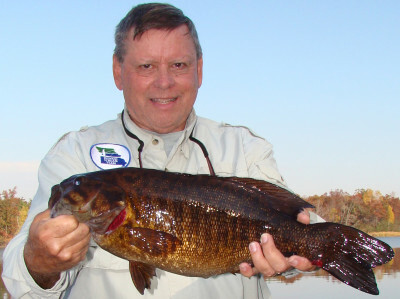 In spring I can take you to one of my secret lakes for hot smallmouth bass action. 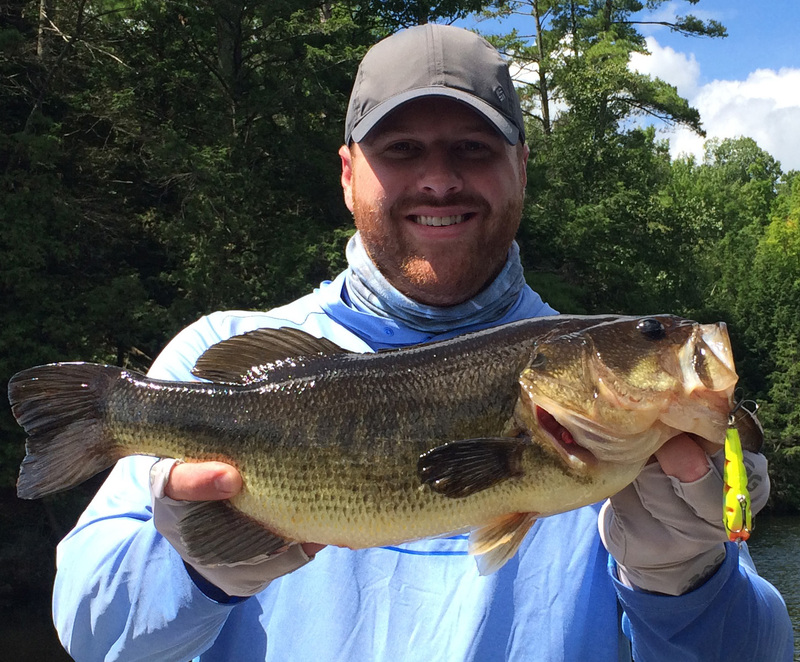 Anglers who book multiple days have the option of fishing different water each day. 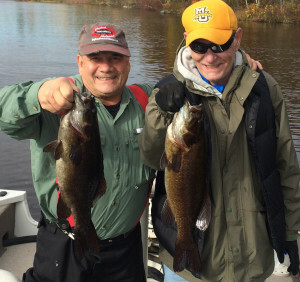 Few guides have these options. 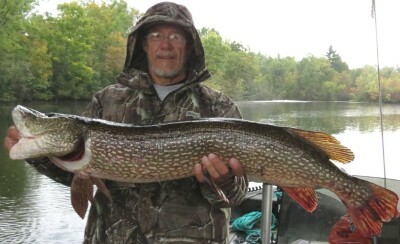 I offer both trophy musky fishing or action with your first legal musky. 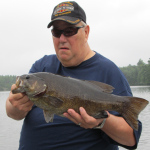 I fish a number of lakes and flowages including High Falls and Caldron Falls. 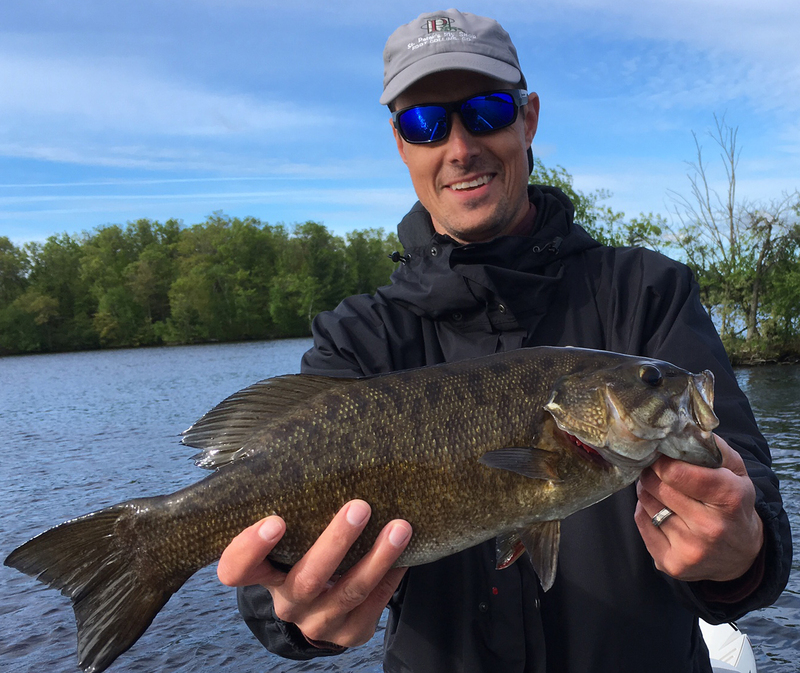 In past years, the Menominee River also offers top rated musky fishing. 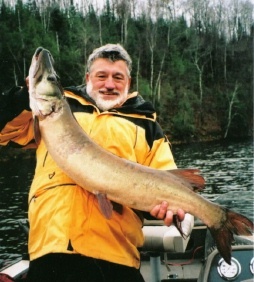 River musky fishing is a unique experience . Fall is prime time to boat a trophy musky. Bring along lunch, beverages and rain gear. 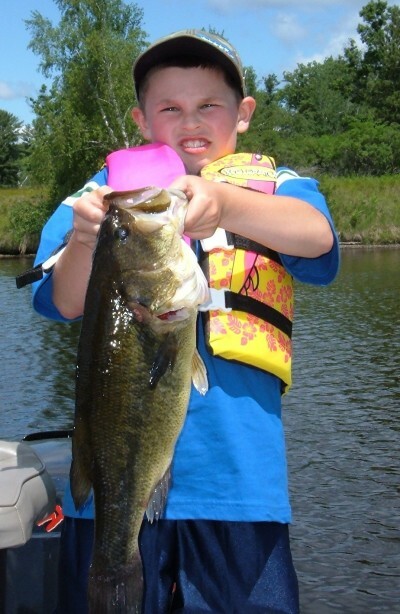 You can also bring along rods and tackle, but if needed, it will be supplied free of charge. Live bait is supplied by client.